Since I started nursery many many years ago I've always had a love for arts and crafts. I can still remember being told repeatedly in nursery that I wasn't allowed to do art all day, this was a conservation that was had daily! Since then though I've either not had the time, money or good enough health to be doing a bit of crafting, I thought though that since it's Christmas I should make a bit of an effort to try and make a few festive things! I have to say I have really enjoyed going to craft shops, hunting through Amazon and then making these cards, I'll definitely be doing things like this more often, let me know if you want to see some craft posts on my blog! 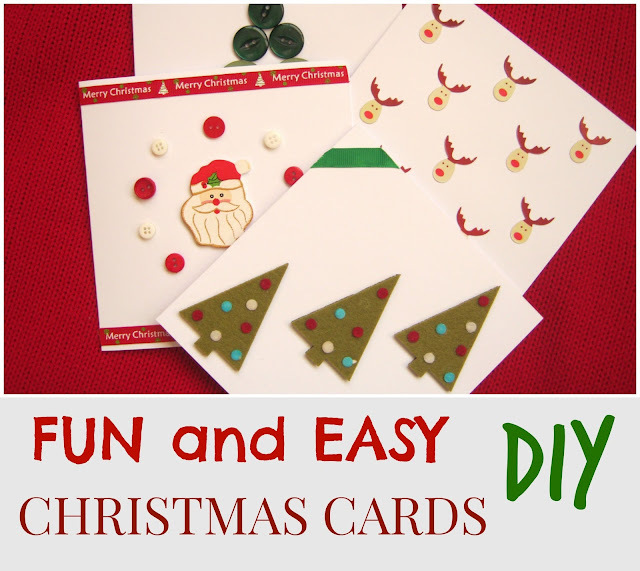 Today though I'm keeping things simple by just showing you a few ideas for some simple and fun cards that you can make for your family and friends this Christmas. None of what I used cost much at all and you might be surprised at what you might already have laying around that you could use! Feel free to take inspiration from this or go down a totally different path, I realise these aren't the best cards in the world but this is just a little fun post! 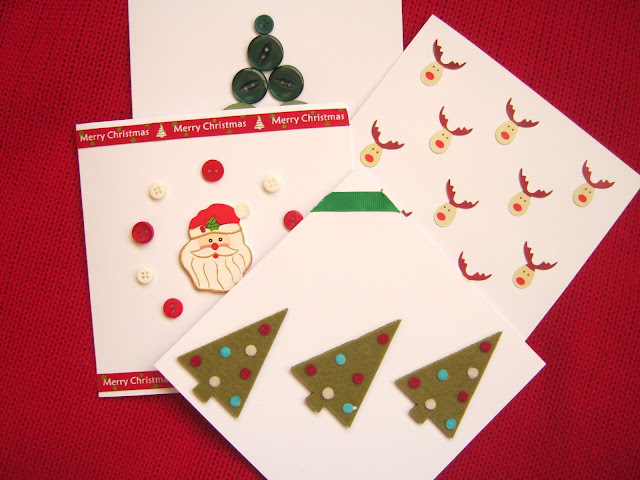 I've linked to where I bought everything I've used if possible so just click on the words in bold to find out where to buy get supplies for making your own Christmas cards! This is the first card I made and the one that I used the most bits and bobs on, it's my brothers favourite and I think it might be mine as well! I found the ribbon on Amazon, it came in a bag of assorted festive ribbon cut offs so it was a lot cheaper than buying whole rolls of expensive Christmas ribbon! I also got the buttons from Amazon in a little festive mixed pack as well as finding some in my Nan's button box! The little stick on Santa was something I found whist I was up north in Yorkshire recently, I got it in a small independent shop but I'm sure there are tons of similar ones online. This next one is a much simpler design and is made out of what is supposed to be a table decoration, it was labelled as table confetti! Again I found these cute little Rudolph's on Amazon. I wasn't 100% sure when I ordered about whether they would be big enough to go on a card but they are just the right size to arrange into a little pattern! I've still got enough left in the bag to do at least 2 more cards like this as well. 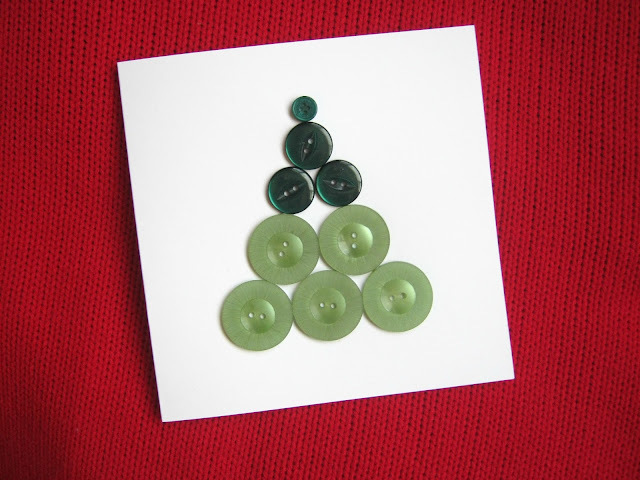 I took inspiration from Pinterest for this card design, ombre Christmas trees seem to be a popular choice for handmade cards! I don't think mine quite turned out as well as the ones on there but I'm pretty happy with it. Again I used a mixture of the buttons I used earlier from Amazon and ones I found at my Nan's. 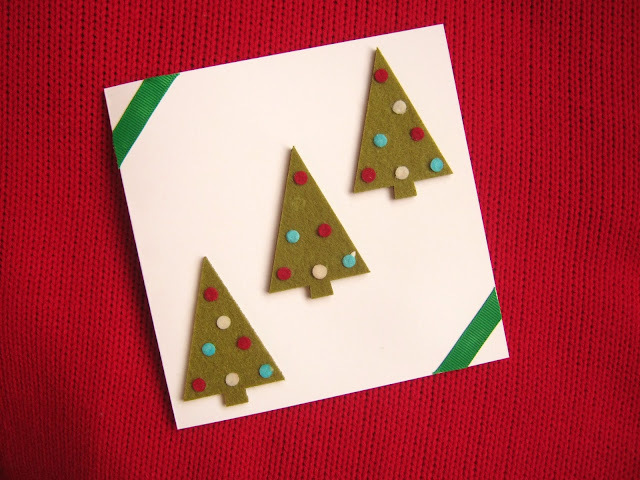 This last card was a pretty easy one to put together, I found the felt stick on trees in a small independent shop (again I'm sure there are similar online!) and it was as easy as peeling off the back and sticking them on. It looked a bit bare and boring after that though so I grabbed some of the ribbon I mentioned earlier and used some of that to brighten it up a little. I've still got enough felt trees to make another couple of these designs as well! The square white cards that I've used are from Amazon and came in a pack of 25 which is more than enough! They are really good quality and great value for money considering they only cost a few pounds. This post is part of the #24daysofWren Christmas craft advent calender, each day a door will open on the calender revealing a festive themed crafty blog post! 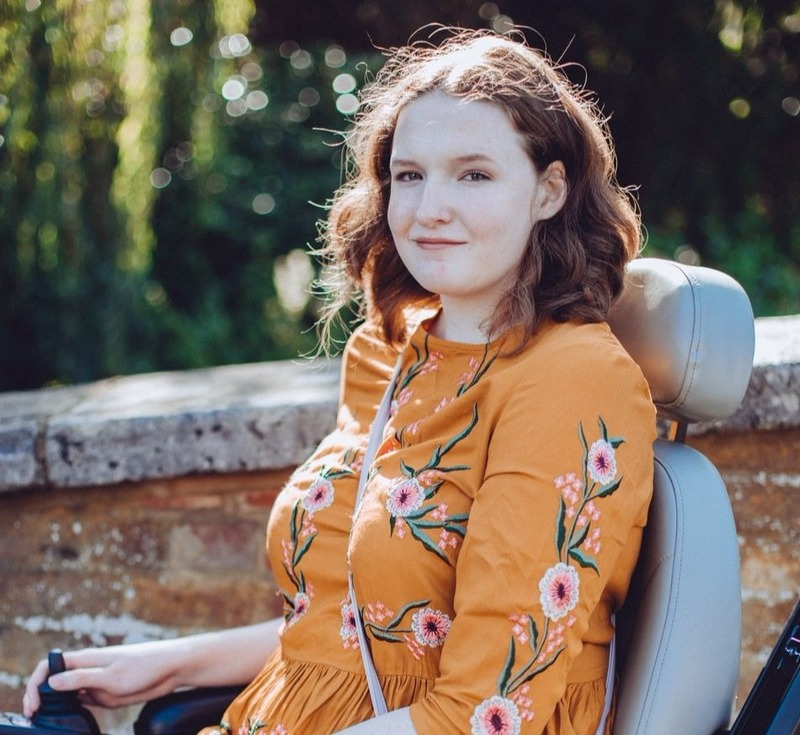 It launches online on December 1st (of course) so keep your eyes peeled for it and keep a look out for my post featuring in it! Ps. this is totally not a sponsored post, I'm just always up for getting crafty! 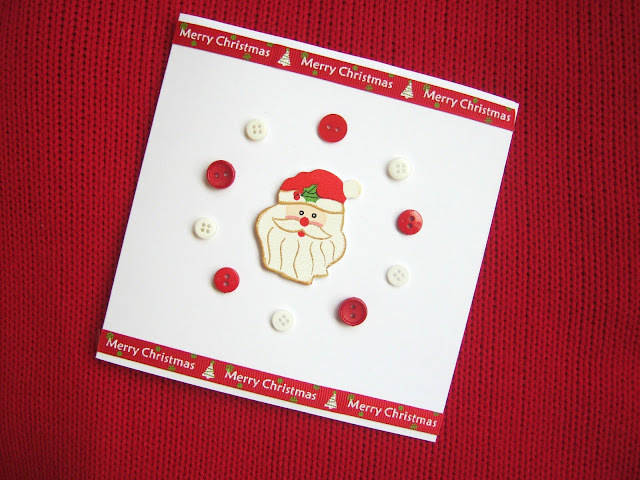 I really hope you've enjoyed my fun little post and hopefully it might have given you some ideas and encouragement to make your own handmade cards! 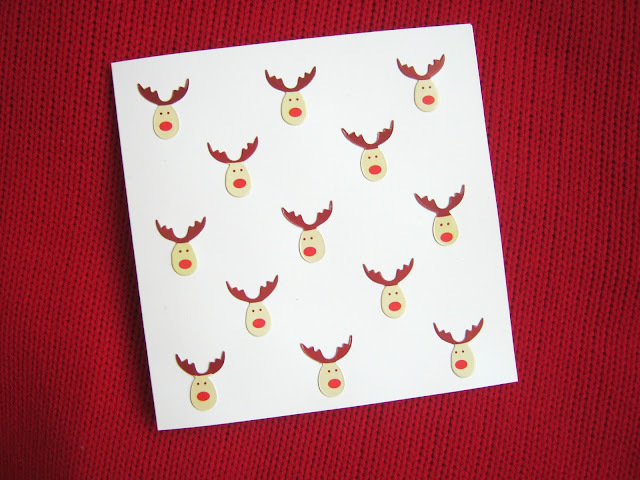 the Rudolph card is super cute! These are cute! Such an easy idea for home made cards.